Watson-North Funeral Home is honored to be of service and ministry to the family of Joan Stephens Robinson, age 74 of Winchester. Mrs. Robinson passed from this life Saturday August 18, 2018 at Southern Tennessee Regional Health System in Winchester. A native of Harvey, IL, she resided in the Centennial Community where she owned and operated the Centennial Grocery and the Old & New Shop in Winchester. She and her two sisters owned and operated the Three Sisters Shop on the boulevard in Winchester. She was a long-time member of the Winchester Free Holiness Church, loved her family dearly and never met a stranger. She is survived by her husband, Jimmy Robinson; children, Joy (Mitchell) Stubblefield of Skyline, AL, Carl (Dora) Robinson and Dayna Robinson, both of Winchester; grandchildren, Justin Stubblefield of Skyline AL, Amelia (Clint) Paradise of Skyline, AL, Hannah (Isaac) Anderton of Grant, AL, Serena Sunshine Stubblefield of Skyline, AL, Jamie Robinson of Winchester, Alena (Cory) Gardner of Decherd, Jadyn Robinson of Winchester, Damion Jones of Pleasant Grove, AL, Alyvia Robinson of Winchester and Layla Money, also of Winchester; great-grandchildren, Jackson Stubblefield, Tryton, Emma, Brantley Paradise, Crimson Anderton, Hadleigh & Hensley Gardner; sisters, Jean Stephens and Shelia (Steve) Hyatt both of Skyline, Al; brother, Rayford Stephens also of Skyline, AL. Mrs. Robinson is preceded in death by mother, Roma Clark Stephens and her father, Alton Stephens; sister, Trisha Arnold; brothers, Teddy Stephens, Leotis Stephens, Carl Stephens and Stanley Stephens. 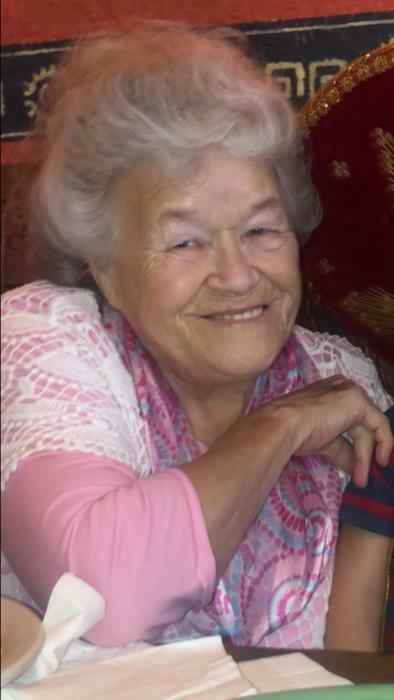 Visitation will be Monday August 20, 2018 at the Winchester Free Holiness Church starting at 5 p.m. Mrs. Robinson will be taken to the Skyline Free Holiness Church for visitation on Tuesday August 21, 2018 beginning at 5 p.m. The funeral service will be Wednesday August 22, 2018 at 2 p.m. at the Skyline Free Holiness Church. Interment will follow at the Skyline Cemetery with friends and family serving as pallbearers. Online condolences may be sent to www.watsonnorth.com.